Natural Animal Solutions Ear Clear is a powerful formulation for dogs and cats. Highly helpful in preventing ear problems and maintaining ear health, this ear cleaner is antifungal, antibacterial and a strong drying solution. This product comes in a convenient dropper that helps in easy administration. 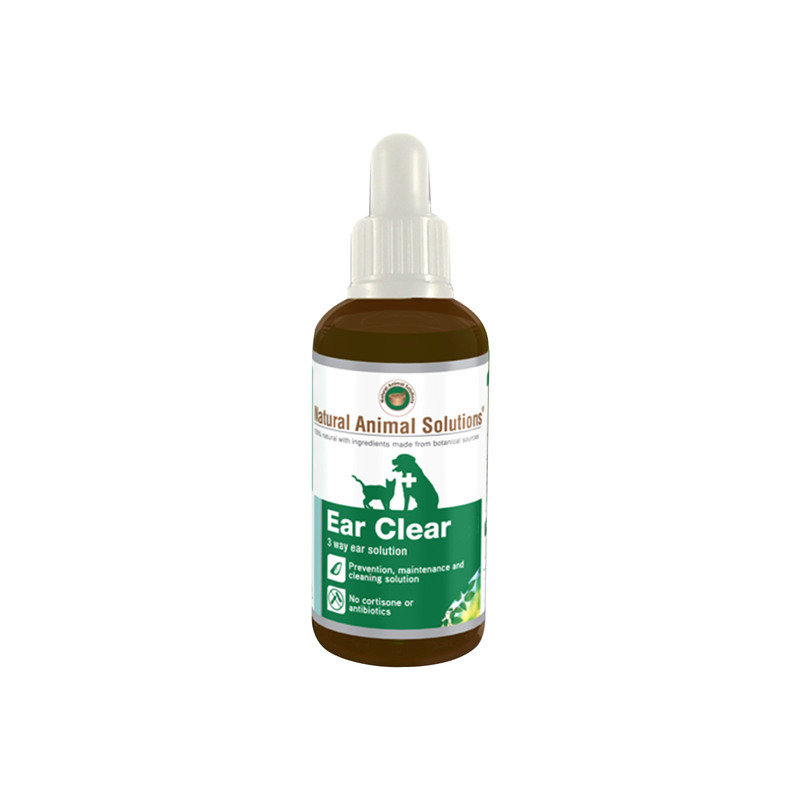 Natural Animal Solutions Ear Clear is a fine mixture of the finest plant extracts and natural ingredients with Aluminium acetate solution. These ingredients are strong drying agent and sooth the irritating pet ears. Use recommended dosage twice a day in ears until clear. For maintenance, use recommended dosage once weekly. Key Ingredients Aluminium acetate solution* (no aluminium in product), aloe vera juice, witch hazel, boric acid, lavender essential oil. A very good ear cleansing solution for dogs. My doggy loves to swim on a daily basis. But due to constantly having water in his ears, he is prone to ear infections. This product has given swift results in terms of eradicating the problem of ear infections. He is feeling great. Thank you!!! My furry pal was suffering from fungal infection. I tried lots of different treatments but this product proved to be the real winner. Now my pooch is free from the infection and I cannot be happier than that.